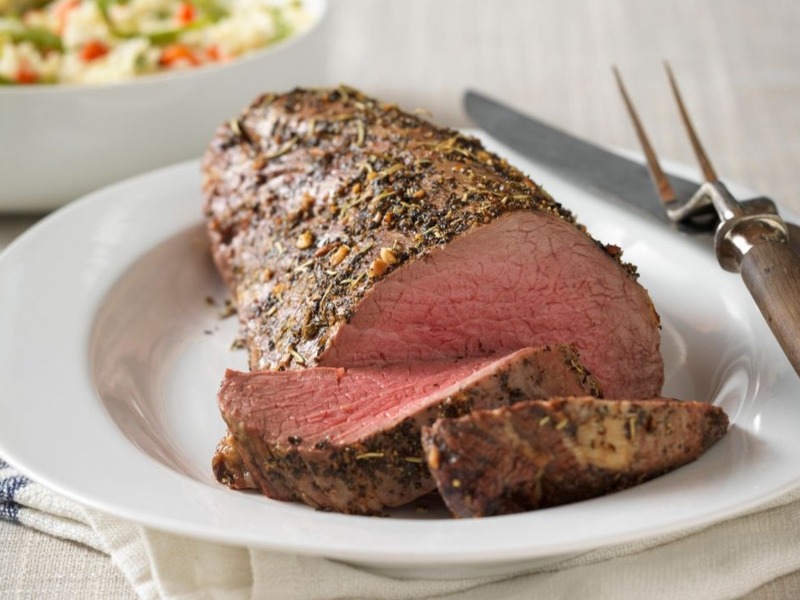 Herb Crusted Beef Tenderloin makes an elegant centerpiece for any holiday meal! Slather a beef tenderloin in a mixture of fresh herbs, then bake until medium rare. This most tender cut of meat soaks up the flavors of the herbs as it cooks. The Indiana Beef Council, in partnership with Lawson Land and Cattle Company of Thorntown, Indiana, hosted an educational beef tour for just over 30 university professors, extension educators, nutritionists, dietitians, chefs, and other culinary experts from across the state. The tour consisted of a feed bunker, feedlot, cow/calf, and handling facilities tour, an update on today’s cattle industry, marketing of breed and banded products, direct marketing of beef, feed quality and nutrition, antibiotics and growth promotion, importance of sire selection and genetics, pasture maintenance, and safe cattle handling practices. This tour was also featured on NCBA's Cattlemen to Cattlemen! Beef Quality Assurance is a nationally coordinated, state implemented program that provides systematic information to U.S. beef producers and beef consumers of how common sense husbandry techniques can be coupled with accepted scientific knowledge to raise cattle under optimum management and environmental conditions. 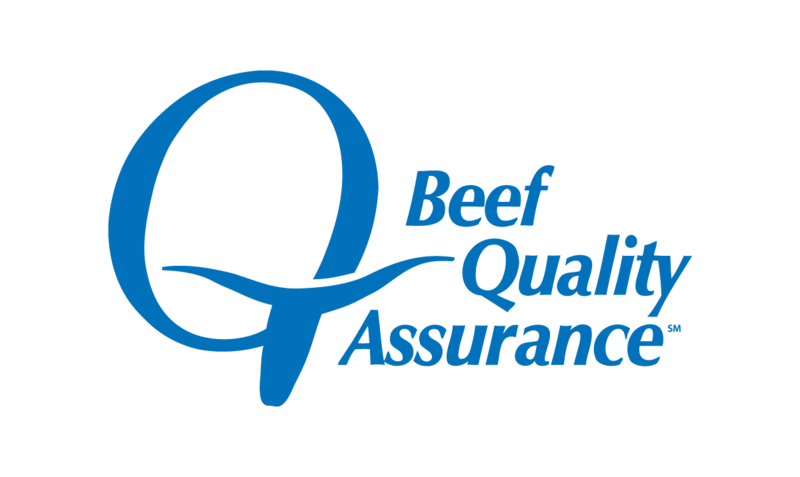 BQA guidelines are designed to make certain all beef consumers can take pride in what they purchase – and can trust and have confidence in the entire beef industry. You can find the link to the BQA website where you can get certified today for free by clicking here. If you’re ready to make this one change to your diet, you can start by balancing your protein intake across your meals. Indiana Team Beef has arrived! The Indiana Beef Council welcomes runners of all experience levels to join Indiana Team Beef! Veal Made Easy is a place to find easy to prepare veal recipes and how-to videos as well as cooking tips and nutritional information. 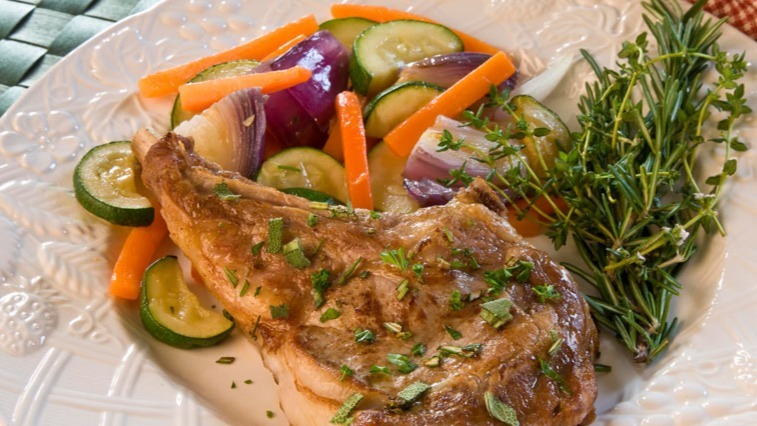 Browse through recipes and videos and start cooking with veal today! Veal farmers have an ethical obligation to provide each animal with appropriate quality care through each stage of life. This is achieved by establishing on-farm programs and training that seek to maximize animal health while minimizing stress and disease. Milk-fed veal in the 21st century is not raised the same way as it was 20 years ago, and the American Veal Association wants to educate consumers about that. 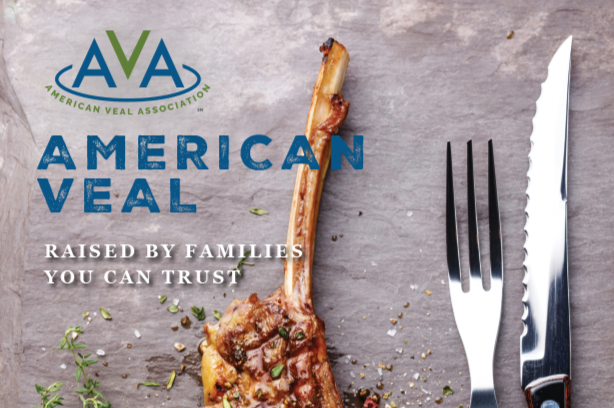 The organization has produced a new video, “American Veal Today,” that takes viewers to veal farms and introduces them to AVA members on the job. The video addresses animal handling questions and feeding and nutrition issues with AVA members, including veterinarian Dr. Marissa Hake and nutritionist Dr. Sonia Arnold. 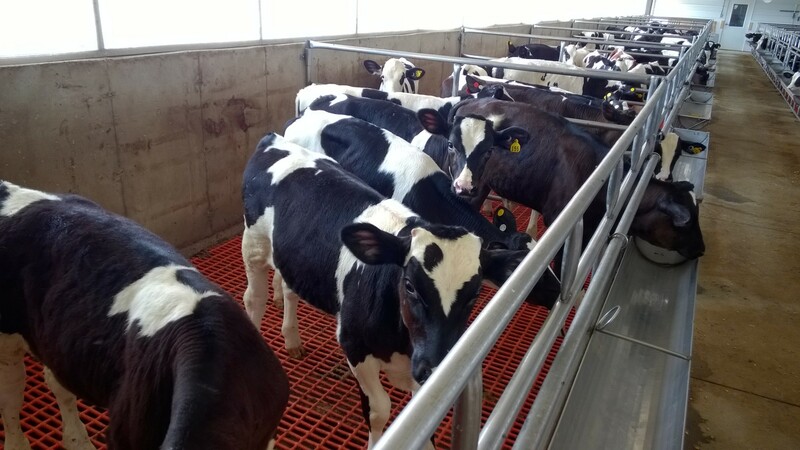 Veal calves are raised in group pens, the video emphasizes, and are never tethered. 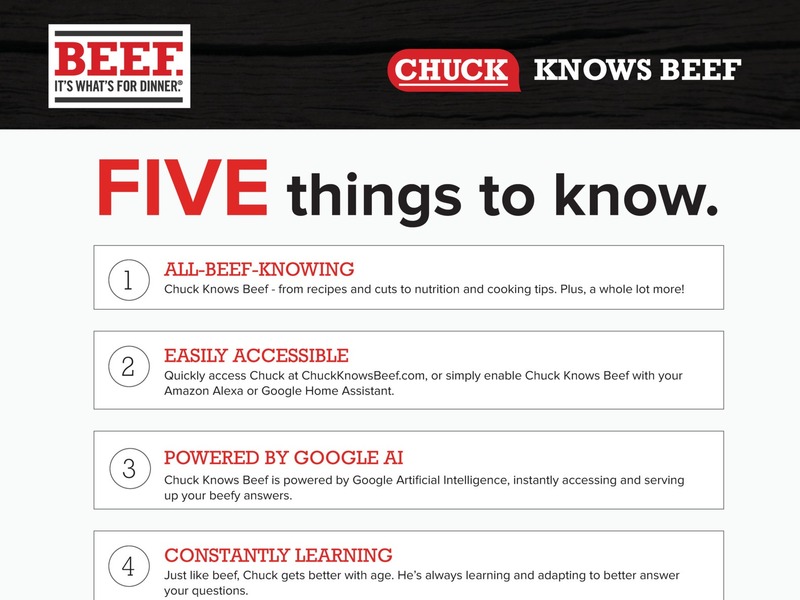 Meet Chuck, the only all-knowing beef expert powered by Google Artificial Intelligence. He has the know-how of a rancher, the skills of a chef … and the sense of humor of, well … a dad. The Indiana Beef Council Joins State Staff from Across the Country at Partnerships in Action Conference Representatives of beef councils in 27 states, including the Indiana Beef Council, attended the Partnerships in Action Conference Oct. 9-11 to learn more about the national 2019 Beef Checkoff Program of Work and discuss ways those efforts could be expanded in Indiana and across the country. 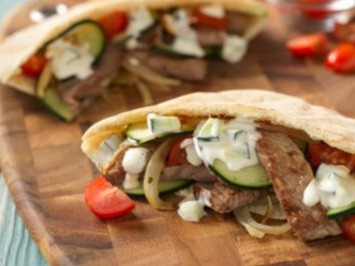 Research released by Purdue University found that following a Mediterranean-style eating pattern that includes lean red meats like lean beef is just as effective in supporting a healthy heart as a Mediterranean-style diet that limits red meats. This new research study adds to the growing body of scientific evidence demonstrating lean beef can be part of healthy eating patterns to support heart health and increase flexibility for healthy eating. Winter is coming, and with it comes the craving for something warm and comforting. This recipe is a delicious take on the family dinner classic. 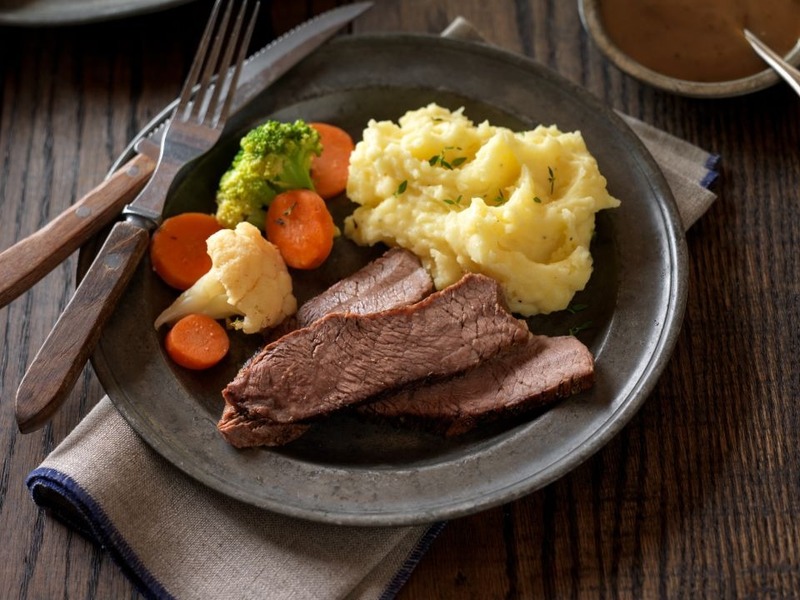 Cook a Blade Chuck Roast low and slow, then finish with a frozen veggie blend to save time without sacrificing flavor.